In 1963 he graduated as an Accountant / Economist from the Faculty of Economics at the University of the Republic of Uruguay. He was a professor at the Faculty of Economics at the University of the Republic of Uruguay and became Dean of the Faculty in 1973. When the military dictatorship concluded he resumed in the position of Dean from 1985 to 1989. In 1978 he founded, together with fellow researchers, the Interdisciplinary Center for the Study of Development, Uruguay (Centro Interdisciplinario de Estudios sobre el Desarrollo de Uruguay, CIEDUR). In CIEDUR, a private not for profit NGO, he continued his research in economics, technological innovation in the national economy for agriculture, fishery and forestry development. In 2009 he became head of the Department of Economics at the Faculty of Economics of the University of the Republic of Uruguay and became a member of the governing board of the University of the Republic. He served as deputy director of the Bureau for Agricultural Planning and Policy of the Ministry of Agriculture and Livestock. He was elected senator for the periods 1990-1995, 1995-2000 and 2000-2005. He also became member of the Parliamentary Commission for the MERCOSUR. 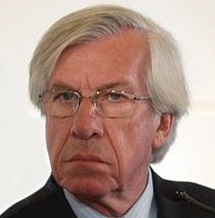 Between March 2005 and September 2008 he served as Uruguay´s Minister of Economy. He implemented a tax reform which introduced Income Tax of individuals in Uruguay and a reorganization and modernization of the country´s tax system. Between 1 March 2010 and 1 March 2015 he was the Vice president of Uruguay and President of the General Assembly. He published more than 65 papers on different aspects of the economy, agriculture and industry.